Between 1947 and 1951 I was in the active reserves, working for my Dad in the moving and storage business, agents for Allied Van Lines. Among our services was the packing of household effects into large wooden lift bans for shipment by shop overseas, wrapping furniture items with heavy brown paper and packing excelsior around them to prevent shifting. After the top was secured, two metal straps were placed around the box and a special device used to draw them tight. In packing one such van box for an Army Warrant Officer going to attaché duty in Ecuador, my Annapolis ring came off while I was strewing the excelsior about. I didn’t notice it was missing until after the van was sealed. I sat down and pondered what to do. Taking the metal cutters to the straps and upacking the van was unappealing to say the least. I thought I could depend upon a comrade in arms to recover the ring when th e van was unpacked and send it back. It turned out to be no small feat. Not found when the items were removed from the van, brought up by burro cart, he, his wife and the “burro men” went through all the excelsior on the ground on their hands and knees and found it. He then took the ring down to the airport and engaged a PanAm pilot to relay it back to Florida I don’t know ho many transfers it went through, but a local line pilot brought it from Tampa to Lakeland and our warehouse. Because her father went to CUBA with Teddy Roosevelt in the late 1890's as Chief Clerk , US Army to General Leonard Wood , ever since I was a small child able to remember , my mother always stated that she wanted me to go to a Military School in the USA for high school! My grandather later became the first United States Consul to Havana and became quite widely known to the US lawmakers and business community because of his involvement and founding of the Havana Electric Railway Light and Power Company! I was unphased by mothers wishes until my 11th.birthday on January 16, 1936 ! Living in Havana, in those days an ages, having "talking movies" at one's home was something out of this world and a priviledge of the precious few as it can be imagined! For my birthday my parents had some 10 friends of mine for lunch at our home and as a "special" gift, one talking movie!. I cannot recall exactly the name of the movie, I think it was "Shipmates Forever". Obviuosly it had to do with the Naval Academy! Ever since that day, I said to myself, that's where I want to go !  As the time approached for me to go the USA for military highschool, in one of my fathers boating magazines, I read an advertisement of a school called "Admiral Farragut Academy" in Toms River , NJ ( now extint), They advertised themselves as "America's First Naval Preparatory School". Unknown to my parents I wrote to the school and asked for brochures which they sent.. I told my parents I wanted to go to this Prep school because I wanted to go to "Annapolis"…. After duly checking out the school at the US Embassy, my parents finally sent me to this school where I entered in September of 1938 and graduated in June of 1942.! In the meantime the US congress passed a bill authorizing one foreign national from each Latin American country to enter the service academies, ( at that time only West Point and Annapolis), not to exceed 20 at a time in each Academy! My father requested the President of Cuba to appoint me for entry to the Naval Academy under this bill, which he did and I was appointed from Cuba. It is interesting to note that in the history of Cuba I was the SECOND appointee from Cuba. The first one was Carlos Hevia, USNA class of 1920, who in the early '30's was President of Cuba for FOUR HOURS……(he probaby broke a Guiness record for short tenure…) and in 1948 became Cuba's Secretary of State . At that time I had the priviledge of being appointed his Naval aide to a State visit to Washington, D.C and environs ( including USNA) with the President of Cuba!" And J.R. Lindsay who were at Farragut with me and later we all entered the Naval Academy in June of 1942 as members of the class of 1946 subsequently graduating on June 6,1945! I have NEVER, EVER regreted this and this is why I decided to write this story after reading the comments in the April 2004 of Shipmate regarding our upcoming 60th reunion requesting anecdotes for the 60 Year Memorial Book! You don't know how good it feels to be actually writing to you instead of telepathing to you, I was having a hard time getting to you yesterday at this time. I imagine that you've heard in the papers about my rescue. Gee, it was a dandy—the best rescue I've ever been in. It was complete with flares, tracers, and searchlights! Like a movie premier yet! But where to start to tell you about my experiences. Well, to start with I was on a test hop on 5098 which had had a carburetor change. I was alone; I had completed the test and was orbiting at 1000 ft 20-25 miles from the task force in the Roger sector on the radio navigation gizmo we use. I bore 240 degrees from the task force. I had just called in and asked for clearance in to the task force to await the signal to land—and had been told to wait, when wham, barn, thank you ma’am, there I was in the drink! I was cruising very slow, 125 knots, to conserve gas, when the engine started banging violently. In a couple of seconds the air scoop in the front Of the windshield had come loose, and fire was pouring out of the right side of the engine. I called "Mayday, Mayday, Mayday"; this is 509 passbook in assigned sector, 20 miles. My engine is banging the air scoop has torn loose. Mayday, Mayday". Then I heard Pass book answer back about "Who dat say Mayday?" By this time I was down to 300 ft, so I said "Mayday this is Pass book on fire and going in". I had kept the plane in a flat attitude and at 300ft. I noticed that I had 85 knots, so I put down my hook and flaps, eased the nose up a hair and I was in. The whole thing took no more that 30 seconds. Oh, yes I also in the time, turned 45 degrees and headed into the wind. There wasn't much to the landing. Nothing much different from an arrested carrier landing except that when I looked up, the nose started to sink and water started to come in the cockpit. So, I stood up, looked down to see if my raft and chute were there, they were, so I stood on the edge of the cockpit and jumped away from the plane. I inflated my life jacket after I was well clear of the plane, took off my chute and broke out my raft. I inflated the raft and hopped in just as old 509 went down. I estimate this took about 30-45 seconds. So within 1 1/2 minutes my mode of transportation changed. So there I was in the raft, fit as a fiddle, I was a little worried that it might get dark before they could get to me, for I went in at 1630 and sunset was at 1705 and it was good and dark by 1715. But I had just called in and given my position and there was a whole flight of 18 planes on its way back and it should pass thru the Roger sector on its way back to the task force. So I didn't have a thing to worry about. Oh, it was a little cold, but I was ok. When Clem Craig had gone over the bow, he was in the water for less that 1/2 hr and he said that he had trouble with his hands getting so numb he could not use them. I was prepared I figured, for I dug into my pocket and put my heavy blue wool gloves on under my leather flying gloves. I figured that would help me as much as anything would. So, always conscious that I'd need my hands, and that if they got too numb I couldn't help myself, I proceeded to get my flares all set. I stuck them on a ring with a lanyard on it so that I could fire the flares if necessary by biting the lanyard and jerking the flare away from my face, therefore setting it off. My knife proved invaluable, for without it I couldn’t have pried up the "0" ring on the flare to attach the hook. Next I looked all around the side of the raft for the rest of my raft kit which contained more flares, a radar antennae and chow. But I wasn't interested for once in my life in the chow. I couldn't find the kit though, so I figured that I had lost it as a matter of fact, I discovered after I got aboard that it was tied to the raft all right. My gun was my next thought; we carry a .38 cal revolver with tracer bullets in it. But because the old man specifically said that we weren't to have our guns loaded in the ready room, and there never was time to do it on the flight deck, the gun was empty. It took me 5 minutes to get my gun out of the holster; the snap on the strap that held it in was so tight. And then I couldn't get the damned ammo out of the bandolier, because it too, like the holster, was under my life jacket, so I couldn’t see -only feel and feeling was pretty hard through those 2 pair of gloves. But one by one I'd pry them out and put them in my mouth, until finally I got the gun loaded. It was a hell of a chore. Then I saw a plane. He was going by and was quite a ways out, but I set off a smoke flare, which he didn't see. By that time the sun was getting lower and lower on the horizon, and was about to disappear behind the mountains. I was only about 5-7 miles off the shore (hostile), and could see the mountains easily. So I waited and waited. My watch stopped at 1655. I blew up my raft, looked around, blew up into my gloves, and blew up my life jacket. Spread dye marker, the sea wasn’t too rough, but it broke over me quite often. The raft naturally was full of water, for you can't keep it out. The temp f the water was 44 degrees and the air was probably 35, but I felt fine. Not sick at all. I just shivered. I just shivered until my legs and back ached, but I had no cramps and didn't feel bad at all. I could wiggle my toes, fingers etc. My suit of rubber had some water in it, but I didn’t feel drenched. Soon it was dark and I wondered where those air dales were. The moon came up, and it was fairly light outside. There was nothing to do but sit there. I'd catch myself dozing, and would have to work hard to stay awake. And I prayed. I started to say the Lord's Prayer as we do before we go to sleep, but it didn’t exactly apply to the situation. And neither did the Midshipman's Payer. And so I just prayed, "Lord, is it be thy will, deliver me from my predicament. If not, dear Lord, who knowest our every thought, allow me to know thee and see thee" And I prayed to God that he look after you, Kris and Nick, and that he bless you and keep you. And I tried to cry, but I couldn't cry. I could smile, though and I did, I could smile for I figured I was so very fortunate to have such a wonderful family and a good life. I was sorry that I couldn't see you again, but I was sure that it wouldn't be long before we would be united again in Heaven. Somehow, it never dawned on me that either of us would go to hell. And I wondered who you would marry. I hoped that it would be Jerry, for Kris and Nicky need a Daddy. I asked God to forgive me my many sins, and to allow me to dwell with him forever. But that if it be his will, to deliver me. I was still wiggling around every once in a while, and I could still use my hands and wiggle my toes. But I was napping more and more, so I fired two shots into the air, I didn’t figure that anyone could see them but I just wanted to see if they worked. Finally, I could see that my raft was running out of gas, and I couldn't blow it up. And the water was creeping up in my suit so that it covered the lower part of my chest. I figured that it wouldn’t' belong now, so I fired two more shots (these two were seen though I didn't know it by the Keppler which was 10 miles away). He called Anyface 5 a guppy to investigate, saving two more if I could not stand the cold anymore. I was dozing, when I heard a plane engine, saw its lights coming towards me. I pulled my flare and he turned and went back toward the way he had come. I was sick. I thought he had not seen it. And I had only one more flare. Then he turned a couple miles away and it looked as though he dropped a flare. Afterwards, I found out that this flare was the Keppler's search light. It went out and I thought the plane had lost me. So next time he came anywhere near, I lit off my second flare. That was a big decision let me tell you! The plane still, kept orbiting, but instead of having me in the center of his orbit he went right over me and then off to the North again in a race track orbit. I was sort of worried that he'd lost me again. But then I looked up toward the North, and saw the ship off in the distance coming toward me! I turned on the little one cell flashlight on my jacket, waved my arms and hollered "Ship ahoy, ship ahoy". I guess that is what all shipwrecked mariners holler! And they turned on their searchlight and picked me up in its beam. Then they threw me a line, and I tied a loop in it and put it around my chest. In a jiffy I was alongside. But then the ship backed down, and I drifted past the bow. They tried to tow me, but my foot was caught on my parachute which acted like a sea anchor. I hollered up that my foot was caught and they cast loose the line, lowered a boat, and in a couple of minutes I was aboard. In the boat I asked them what ship it was. They said they were Budweiser, which is their code name. They said something about giving me some brandy and I said no thanks but how about a beer. Well, they didn't have any cold they said. I told them that didn't bother me. But I got the brandy and not the beer!! They dragged me out of the boat and up a ladder. When I got to the top I told them to let go and let me walk, which I did. I asked what time it was when I got in captain's cabin, and when they said it was 1930 I dropped my uppers. Why any fool knows that a man can't live 3 hours in that water and walk around and talk. I figured it must be the Lord again! All in all, it is just fantastic for a man just can't live immersed in 44 degree water for three whole hours and then walk, tie knots and help himself into the boat. You try and figure it out, I can't. But, Life is so good! It is so wonderful to be able to tell you this, even though it isn't such pleasant reading. Don't feel badly, Margie, because it is a happy day. I love you so. Even with the shivers, I had to smile when I thought of you. I really do love you, dearest. It is going to be so wonderful to be with you again. All day today I've felt pretty good. Just awfully weary is all. I had a 4 hour nap this afternoon and I should sleep ok tonight. It is just pretty hard to sleep thinking, that's all. As far as I can figure, it just was not god's will that my life should end. There is no other explanation, for it just so happened that the ship happened to be steering toward me when the traces were sent. They might easily have missed them and not a thing wrong with me except a little burn the size of a nickel on my chin! I guess you know I must be naturally tough! And I don't give up easily. Thank the Lord again. I guess you know these men of the Keppler are really treating me fine. Yes indeed! The chow is fine, I have a nice bed and clothes to wear, and I'm alive and kicking, so you know I'm well off. Today the Princeton was gone replenishing and tomorrow we go to replenish, so it will be Christmas day that I get back aboard. Some Christmas present! Well, that's all there is to it. Fortunately one doesn't usually have such big adventures every day. I imagine that I'll spend a good part of a week writing reports and answering questions. And then I'll be back airplane driving. If I can pull through with everything against me, the cold, the darkness, the aloneness, the low altitude and slow speed at the time of trouble, think how easy it will be if you have just something for you. But if God is looking after you, and I'm convinced he is looking after me, you're fat!! Love you, love you, love you, love you, I do. P. S From now on Budweiser is my drink!!!! My classmate Bob Wertheim has written a superb Sea Story entitled THE DEVELOPMENT AND EVOLUTION OF THE FBM SYSTEM which describes in detail the significance and scope of the tremendous National effort in progress at the time of the Cuban Missile Crisis to achieve dominance over similar efforts in the Soviet Union. Actually only five of the forty-one planned Polaris submarines were deployed at the time of crisis with several others in various stages of construction and preparation for deployment. The deployment site was Holy Loch, Scotland and the homeport where the families lived was New London, CT.
USS Robert E. Lee (SSBN 601) was one of the three SSBNs on patrol in October, 1962 at the time of The Cuban Missile Crisis and I was in Command. It was my first patrol as CO although I had been the XO for the previous three Blue Crew patrols. The XO, Pete Cady, had been the Blue Crew Engineer since pre- commissioning. We both knew our ship and crew very well and the ship’s company knew us as well. This was to be a short thirty day patrol followed by a return to the Holy Loch to exchange exercise heads for warheads on six of our missiles. This was to be followed by proceeding to the South Atlantic to fire the exercise missiles into the Atlantic Instrumented Range from simulated patrol status. This would have been the second Follow- on Test (FOT) of the Polaris A1 System; USS George Washington having recently fired the first. We were excited about being chosen to fire the FOT and were thoroughly checking out the entire System to ensure we would experience no surprises that could hamper the FOT. Meanwhile, we were kept advised by our Operational Authority (CINCLANT) on the startling news that intelligence was showing the Soviets to be installing medium range ballistic missiles in Cuba. I kept the ship’s company apprised of the news while discussions in the wardroom and crews’ mess switched from FOT to more somber considerations of what the news might mean for us. Our suspicion that FOT would be cancelled and our patrol extended shortly came to pass and we proceeded to the highest state of readiness. The President announced words to the effect that any missiles fired from Cuba would be considered as fired from the Soviet Union. We understood we might well be called upon to fire our sixteen Polaris A1 missiles at targets in the USSR and we were fully ready to do so. It was up to the President and God to avoid Armageddon. We were all mindful that our loved ones were in imminent danger and that we could be facing an unbelievable future. Yet we would have fired as ordered and no one on board would have tried to prevent it. Back in the Holy Loch simultaneously with the setting of the higher DEFCON all hands worked at a frantic pace to get the two submarines alongside to sea. Both were undergoing repairs to pumps, motors, electronics and weapons, as well as, loading of supplies. In the case of USS Abraham Lincoln (SSBN 602) a load out of several torpedoes was involved . Incredible as it may seem, both ships were underway and clear of The Holy Loch within a span of 24 hours. Understandably, many repairs had to be completed while enroute to their patrol areas in the Norwegian Sea. The Soviets kept a trawler (AGI), equipped for electronics and communications surveillance, stationed close enough to the Holy Loch to keep track of traffic in and out of the port. Most certainly the Soviet High Command knew there were five SSBNs within range of targets in the Soviet Union with 80 nuclear weapons on board. This must have given the Soviet leadership food for thought. To add to their concerns the AGI would have reported that Holy Loch was now empty since Proteus, tender to the submarines, was also at sea. We will probably never know what really caused the Soviet leadership to back down and announce they would remove the missiles from Cuba. I believe at least one cause must have been those 80 nuclear warheads aimed at Soviet targets from unknown locations in the nearby sea. The destruction would be more than 40 times that at Hiroshima and Nagasaki! Our patrol lasted 68 days. Because this was supposed to be a short patrol before returning to the Holy Loch to exchange exercise heads for warheads the Squadron Catholic Chaplain joined us from his office in Groton, CT. His joining us would provide him a better understanding of what it is like to experience a Polaris Patrol. He ran out of wine for communion after 40 days but learned what it was like to experience a fully active patrol. Our leading cook got into a bit of trouble with his shipmates for running out of sugar several days before completion of the patrol. The ship ended the patrol in good condition, ready for the turnover to the Gold Crew. We conducted the second Polaris A1 FOT after our next patrol, but that’s another story. The cold war spanned the entire period of our years of service - from the end of WW 11 to the dissolution of the Soviet Union. What follows is an account of the part we played in creating and maintaining a sea-based strategic -nuclear deterrent that for over 50 years helped keep, the cold war cold and allowed tt to die in a whimper, not a blast. In the winter of 1947, three classmates, Jack Fagan, George Foglesong and Bob Wertheim, received secret orders to report to Sandia Base for duties in connection with the "military applications of atomic energy". We later learned that we had been selected by the Assistant Chief of the Bureau of Ordnance, RADM William S. Parsons, to be members of the Navy's first nuclear bomb assembly team. RADM Parsons, who had been Dr Robert Oppenheimer's deputy at Los Alamos during the Manhattan Project, wanted to include three young officers who might build their future careers in nuclear weaponry. As it turned out, each of us did just that. All three of us went on to take ordnance engineering postgraduate degrees in nuclear physics at MIT. Jack's later career as a submariner led him to command two nuclear submarines, the attack sub USS Shark, and the POLARIS armed SSBN USS Lewis and Clark. George left the Navy after graduating MIT, but spent much of his later career designing nuclear weapons at Los Alamos. As an Ordnance ED, I was shanghaied very early on into the new Special Projects Office (SP) and its fleet Ballistic Missile (FBM) program. Most of the remainder of my Navy career was spent at various levels of responsibility for the FBM systems described below. First, let's set the stage: In 1955 U. S. intelligence reported rapid Soviet progress in their nuclear program and there was grave concern that the U. S. might find itself facing a nuclear ICBM threat with no comparable capability to counter it. Army's 1600 nm JUPITER IRBM at sea in order to bring Soviet targets within missile range as soon as possible. In response to this charge, the CNO, Arleigh Burke, created the Navy Special Projects Office in December 1955, and named a newly selected Rear Admiral (later Vice Admiral) Red Raborn to carry out the Navy's role in this shotgun wedding with the Army. SP was less than 6 months old when I reported for duty in June of 1956, with the joint Army-Navy program by then well underway. A moment to describe the Army's JUPITER missile: A large, single stage, liquid propellant rocket, carrying a 3500 pound payload to ranges of up to 1600 nm. It was being developed under the technical direction of the German rocket scientist Dr Werner von Braun and his team who bad developed the V-2 during WW It. The Army Ballistic Missile Agency in Huntsville was responsible for modifying their land based JUPITER, working with the Navy's SP who had responsibility for developing launching and handling, navigation, fire control, test instrumentation and other ship systems necessary to adapt Mariner class merchant ships to take this weapon to sea. The system was to be available for operational evaluation in 1960. Once into the program however, the Navy set its sights on ultimate replacement of the liquid missile with a solid propellant version of JUPITER that would be suitable for submarine deployment. The solid propellant would alleviate the serious handling and storage problems associated with liquids at sea. The goal was to have such a system ready for evaluation by 1965. The JUPITER (S) would have been huge: over 41 feet tall, 10 feet in diameter and weighing over 80 tons. A specially designed submarine carrying four of these monsters would have been the largest in the world to that date. It would have had to come to the surface to elevate and launch missiles - a hairy proposition, at best. Meanwhile, during that summer of 1966, the Office of Naval Research sponsored a study on undersea warfare. it -was at that meeting that Dr. Edward Teller asked a provocative question: "Why is the Navy designing a 1965 weapon system with 1958 technology? He then went on to project dramatic improvements in the yield-to-weight ratios of nuclear weapons that would permit reduction in the weight of a megaton warhead by almost a factor of three. If Teller's prediction could be realized, the potential implications for making a dramatically smaller solid propellant missile were electrifying. Admiral Burke asked Raborn to provide an independent assessment as quickly as possible. To perform the trade off studies and to define the envelope parameters of a new system, teams were assembled for each of the weapon subsystems, including the missile, its launching and handling system, fire control and guidance, navigation, test instrumentation and the submarine itself. My responsibility was to lead the re-entry body team doing the studies of missile payload size and performance factors, including weight, accuracy and warhead yield. In three months of intensive work, SP with its supporting contractors and government agencies defined a completely new system concept we called "POLARIS". The payload my reentry team proposed was reduced from the JUPITER's 3,500 pounds to less that 850 pounds. Along with the promise of a smaller and lighter guidance system by MIT's Charles Stark Draper and by applying new high energy solid propellant motor technology, the overall missile size and weight was projected to come down by more than a factor of four. Such a missile would be small enough to be carried vertically within the pressure hull of existing nuclear attack submarines. (As it turned out, the first SSBN, USS GEORGE WASHINGTON was originally laid down as an SSN, USS SCORPION which had a 133 foot bull section inserted for the POLARIS launchers and missiles.) We considered conceptual submarine designs with as many as 128 missiles. The final choice of 16 was a compromise between cost effectiveness which argued for more, and operational flexibility and construction risks which argued for fewer missiles per submarine. In December 1956, the Secretary of Defense authorized the Navy to proceed with POLARIS and terminated the joint Army-Navy program for JUPITER. Program success would require breakthroughs in a number of technical areas including: development of a small, proven thermonuclear warhead, high-energy solid missile propulsion, underwater missile launch, and precision navigation, fire control and guidance to accurately strike strategic targets at ranges up to 1500 nautical miles from a moving platform at sea. Each of these and many more were successfully achieved, and on November 16, 1960, GEORGE WASHINGTON, the first of the 41 for freedom, departed Charleston on operational patrol with 16 nuclear armed POLARIS A-1 missiles - just under 4 years -after the program was authorized. To give you a feel for the kind of support this project had from on high, this is a quote from a 1955 letter, then classified Top Secret, that Admiral Burke wrote to Raborn. "If Rear Admiral Raborn runs into- any difficulty with which I can help, I will want to know about it at once along with his recommended course of action for me to take. If more money is needed, we will get it. If he needs more people, those people will be ordered in. If there is anything that slows this project up beyond the capacity of the Navy Department we will immediately take it to the highest level and not work our way up through several days. In taking this type of action we must be reasonably sure we are right and at least know the possible consequences of being wrong because we will be disrupting many -other programs in order to make achievement in this one if we are not careful. That is all fight if we really make an achievement. "The Air Force has got a tremendous amount of enthusiasm which they demonstrate behind their project and we must have even more. The awards should be made to companies as soon as possible and our major contract awards, I think, should be made by the 15th of December." The letter was dated 2 December 1955. Suffice it to say that the project was conducted under intense schedule pressure. The initial operational availability date for the system was advanced from 1966 to 1960 in the wake of the Soviet launch of SPUTNIK in October of 1957; a year before the first flight test of a U.S. ICBM. In any event, as our early test missiles were raining from the sky over Cape Canaveral, we learned to use a new code. For example: "Successful launch" could mean "didn't blow up until after leaving the launch pad" - "Successful first stage flight" might mean "went out of control and was destroyed during second stage flight" and so on and on. Of absolutely central importance to FBM program success was the relationship that SP was able to establish with its contractors. The notion of a government-industry/ civilian-military team was for real, not just lip service. SP was allowed to use cost plus fixed fee, level of effort contracts; we pioneered automated planning tools; we focused on exception reporting – never shooting the messenger but rather encouraging the bearers of bad news (in Rabom's words these were always "challenges", never "problems"); and we had the support of everyone from the President and the Congress to the media and on down to the most junior military and civilian employee in the field. Like ADM Rickover's Naval Reactors, Special Projects retained cradle-to-grave responsibility for each of its successive generations of FBM systems. POLARIS A-1, A-2 and A-3, POSEIDON C-3, and TRIDENT C-4 and D-5 provided increased reliability, range, payload -and accuracy in response to perceived Cold War Soviet ASW and ballistic missile defense (BMD) threats and to meet new targeting requirements. For the initial operational missile, POLARIS A-1, schedule had overriding priority when making trade-offs with system performance. As a consequence, the missile deployed on GEORGE WASHINGTON in 1960 was less reliable, had a shorter range and a lower warhead yield than the goals that had initially been set for a 1966 IOC. Those performance compromises were all recovered in the 1500 nm POLARIS A-2 which commenced deployment on ETHAN ALLEN 18 months later. Desire for increased operational flexibility and hedging against postulated Soviet ASW and BMD threats were reflected in the 2500 nm range and the multiple warhead payload of POLARIS A-3, first deployed in DANIEL WEBSTER (SSBN 626) in September of 1964. The A-3 was also made available to the United Kingdom under the terms of the US-UK POLARIS Sales Agreement and was deployed in the 4 RESOLUTION class SSBNs. When in 1964 the Soviets unveiled their ABM system for the defense of Moscow, we were alarmed to find that the system could be vastly more capable than had been postulated. Because of the combination of radar frequencies, interceptor warhead size and engagement attitude, all existing U.S. missile penetration aids would have been ineffective. This led to the development and in March 1971 the first deployment on JAMES MADISON of POSEIDON C-3. POSEIDON had improved accuracy and double the payload of A-3, and with multiple independently guided reentry vehicle (MIRV) capability, it provided unprecidented flexibility to trade off range for payload as needed to assure penetration of potential defense systems. The genesis of TRIDENT was the 1966-67 OSD-sponsored "Strat X" study of alternative future strategic missile basing systems. The measure of effectiveness used was life cycle costs for a given amount of surviving effective payload on target in a worst case second strike scenario. The clear winner in that contest was -a large, very stealthy new submarine carrying many large missiles with intercontinental range. Such range capabilities were first provided in October 1979 by deployment of TRIDENT C-4 in existing SSBN's (starting with FRANCIS SCOTT KEY and later in the new OHIO class TRIDENT subs) that eliminated the need for tenders overseas and made vast new ocean areas available for alert patrols. The C-4 was followed in 1989 by the large new TRIDENT D-5 which could only be carried by OHIO class TRIDENT SSBNs. With a combination of greater range, accuracy and payload, the TRIDENT D-5 weapon system can hold at risk the full spectrum of strategic targets. So this is the end of my cold war story. The original 41 POLARIS submarines have now all been retired - replaced by a numerically smaller, but far more cost-effective force of 14 TRIDENTS. What was once an "oh, by the way" Navy hedge against delays in ICBM development, has become the dominant leg of our strategic triad, and now constitutes over 60% of the U.S. nuclear deterrent force. The consequent deterence of major warfare between advanced states has been a crucial 20th century success -story, and members of the class of 1946 were important contributors to it. Dixon Lademan, who served tours in SP in POLARIS missile technical plans and later in POSEIDON test operations. Sam Anders, who served both at sea and at SP headquarters. Jack Fagan, mentioned earlier as LEWIS AND CLARK (SSBN 6") Commanding Officer. Jim Burrill, who served in SP headquarters test operations and later as CO of the Naval Ordnance Test Unit at Cape Canaveral. Al Whittle, ANDREW JACKSON (SSBN 619) CO and later as Chief of Naval Material was the reporting senior for the Director, Director, Strategic System Programs (SSP). Harvey Lyon, CO of USS ALEXANDER HAMILTON (SSBN 617) and later as Director, PM-2 responsible for coordinating TRIDENT SSBN construction and weapon system development. Chuck Griffiths served as XO of ROBERT E. LEE (SSBN 601), CO of SIMON BOLIVAR (SSBN 641), and Commander Submarine Squadron 15. Joe Russel who served at sea as an SSBN CO and in SP headquarters responsible both to the Director and to COMSUBLANT for FBM weapon system test and evaluation. George Dickey served as Navy SP representative to Air Force Advanced Ballistic Reentry Systems project office at Norton Air Force Base. Chuck Grojean was XO of PATRICK HENRY (SSBN 599) and CO of THOMAS JEFFERS0N (SSBN 601). Bernie Heesacker, ComOpTevFor representative at SP headquarters and Weapons Officer on FBM test ship OBSERVATION ISLAND (FAG 154). Bob (Yogi) Kaufman, ComSubRon 14 staff planner in OpNav, CO of WILL ROGERS (SSBN 659), and OpNav Director of Strategic Submarine Development. Al Kulik, XO of HUNLEY (AS 31) in Holy Loch, Scotland, and later tours in -OpNav for POLARIS plans and as Direct-or, Navy Strategic Command and Control Division. Saul Levine, served on technical staff in SP headquarters. Mitch Mitchell, as civilian engineer worked on POLARIS solid motor development at Aerojet General and later at Vitro Laboratories in SSBN configuration management. Sandy Sandford, CO, JAMES MONROE (SSBN 622) and later as CO of FBM Training Center, Charleston. Joe Skoog, CO of JAMES MADISON (SSBN 627) and later SubPac: Assistant Chief of Staff for POLARIS. Stan Smith, CO of DANIEL WEBSTER (SSBN 626) of FBM Training Center. Larry Stahl, SSBN CO and XO of POLARIS submarine tender. Jack Walsh, CO, of THOMAS JEFFERSON (SSBN 618). Backle Yerbury, SP headquarters staff responsible for developing POLARIS long range R&D concepts. Further reading on the subject can be found with an article that appeared in the May 2006 issue of Proceedings: "A New Role For The Trident". To access the article on the USNI's website you will need to login. My first tour as a Civil Engineer Corps Officer out of Rensselaer Polytechnic Institute at the Naval Disciplinary Barracks, San Pedro, CA was coming to a close when I received orders to be the Public Works Officer at the Naval Civil Administrative Unit, Truk Atoll, Eastern Caroline islands. Truk is about 600 miles SE of Guam and was the Japanese equivalent of our Pearl Harbor. Truk Atoll is an enormous coral ring 30 40 miles in diameter; inside this ring are over 100 high volcanic islands. Moen and Dublon are the two principal islands; Moen is 6 miles in length, has an area of 8.5 sq. miles, and a maximum elevation of 1234 ft. The principal headquarters of the Japanese, Dublon, is 4 miles SE of Moen, has an area of 3.7 sq. miles, and a maximum elevation of 1168 ft. The Spanish discovered and claimed Truk in 1565; Germany purchased the atoll along with the Marianas in 1899. Japanese rule over Truk began in Oct., 1914, Japan having been an ally of England, France, and the U.S. during WWI In violation of the Versailles Treaty, Japan began fortifying Truk and it became a staging area for Japanese operations during WWII The U.S never invaded Truk but subjected it to carrier raids in Feb and April, 1944; these raids sank many Japanese ships in the lagoon and destroyed the Japanese installations on Dublon. After the Sept. 2, 1945 Japanese surrender, a U.S. Military government took over the atoll. U.S. Marines disarmed the Japanese garrison, Seabees built roads, erected Quonset Huts, and extended the air strip, all on Moen Is. The Marines stored the rifles and other weapons in locked caves. Any U.S. military could receive a Japanese rifle upon completion of their tour on Moen. I chose the large caliber rifle and picked up a bayonet from my native workers who used them to cut grass. unpaved and in poor condition, especially in the steeper terrain. Truk was at the end of the logistics pipeline from Guam; we had one PBM per week and one supply ship a month. Apparently some of the CPOs thought that we were at the end of the earth. A sign over the bar in their club read, "Truk, the Atoll of the Universe!" My boss was a LCDR line officer who was also an alcoholic. I found that he drank Drambuie (a liqueur) by the glass tumbler at the Officers' Club which also doubled as a BOQ. One night he ran his Jeep up a telephone pole guy wire and flipped over. He was unhurt but I had to furnish him with a replacement As a work force, I had I I Enlisted Men and about 80 natives whose starting wage was $. 10 per hour. When the CO found that I had a daughter the same age as his, he moved me into a double quonset across the road from his quarters. Help was cheap so we had two maids and a house boy, the latter, named Alipeck also worked for me. He would climb the coconut palm outside of the quonset and pick the ripe fruit which was delicious. We also had pineapples growing adjacent to my quarters; we had never had pineapples picked when ripe and they were excellent. Alipeck took great delight in describing the U.S. carrier raids and the effect on the Japanese. Soon after my arrival on Moen is., the Navy decided to move the Field Headquarters of the Trust Territories from Pearl Harbor to Truk so a Capt. Anderson and his sizable staff joined the CIVAD Unit on Moen. Preceeding this move, a Seabee Detachment from Guam built quarters and other facilities for the new arrivals. I soon became friends with Ens. Ralph Bird from Alabama. He and I hiked up to the artillery emplacements installed by the Japanese which were sited to cover the passes through the coral reef These 8 in. pieces came from artillery captured from the British in Singapore. Ralph had a pronounced southern drawl and he liked to talk to newcomers at the BOQ bar and describe the diseases endemic to Truk especially Yaws. When the stranger would ask, "What's Yaws? ", Ralph would answer, "III have a scotch and soda". Capt. Anderson seemed to take great delight in "riding" our CO which probably contributed to an already serious drinking problem. One day, Capt. Anderson called me into his office and announced that his Agricultural Extension Agent, a Guamanian, wanted to bring chicken farming to the Trust Territories. The Capt. requested from me a list of construction materials required to build the facility based on sketches prepared by his Agent. I submitted the list, the Capt. procured the materials, I laid out the building and we commenced construction. This project strained my already meager manpower resources since this chicken farm construction was in addition to my regular maintenance program. But we turned to with a will and the project progressed rapidly. For a water supply, we caught rainwater off the roof and stored it in pontoon sections with piping to the various chicken farm rooms. We finished the project and the chickens arrived from Guam. The native students at the Pacific Islands Teacher Training School (PITTS) complained that the chicken accommodations were far better than theirs. I was able to go on several fishing trips with two of the petty officers who worked for me. On the first trip we stayed inside the lagoon. I can't remember whether I caught anything but I do recall the need to urinate over the side and was unable to do so because of the motion of the boat in rough water. So I asked to be put ashore on a small island named Pis (pronounced like peace); this was an appropriate name for a spot to relieve myself The second trip was a special one. We stayed overnight on another island and were the guests of the island chief He treated us to a wonderful meal and let us sleep in a hut with a palm thatched roof. The next day we fished outside of the reef and one of the others caught a Wahoo, a beautiful and large fish. Truk was an idyllic spot, a south seas paradise. My job was tough but the experience tremendous. "South Pacific" had just opened on Broadway and a civilian living up the hill from me played the score on his record player including "Bali Hai". Hearing that music while gazing at a beautiful lagoon was something special. I had applied for Post Graduate School and received orders detaching me in May 195 1. In spite of the worrisome job, I left reluctantly. The beauty of Truk and its gentle people will always be in my memory.